This storybook includes four much-loved tales accompanied by beautiful illustrations, and will inspire young readers to develop a life-long love of reading. An amusing anecdote of a boy who collects coal tar to make marbles. He ends up covered from head to toe in sticky tar! What will his mother say? Will she be able to remove the tar? 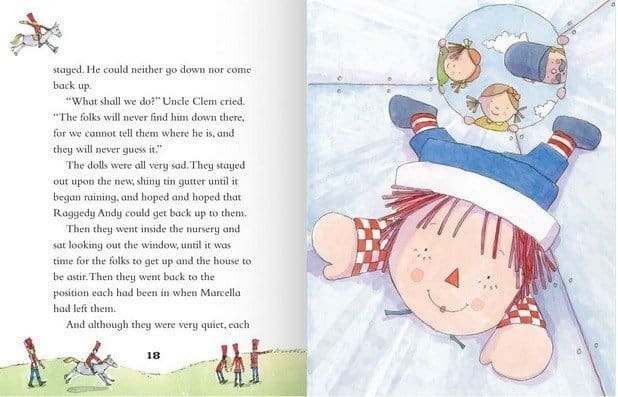 Written by Johnny Gruelle is the story of how Raggedy Andy gets stuck in the gutter pipes while looking for the two lost penny dolls. Will he be lost forever? An extract from Hitty: Her First Hundred Years by Rachel Field. One day, a mother crow takes Hitty, a small wooden doll, to her nest. Will Hitty be eaten by the baby crows? Or will she be reunited with Phoebe? Written by John Kendrick Bangs, Jimmieboy is kidnapped by an old man who lives in Toytown. The old man has a shop where he sells children to toys! Will Jimmieboy be bought by a toy? Will he ever escape from Toytown? I have to admit to not being familiar with any of the stories within this book, so as Roo read them aloud I was too interested to see what was going to happen. The large text on each page makes it easy for young readers and with the beautiful illustrations keeping their interest as the stories unfold. Priced with a RRP of £5.99 it represents good value for money and this is just one of the books availble in a series of ten available, so why not catch up with the other characters in the next books. 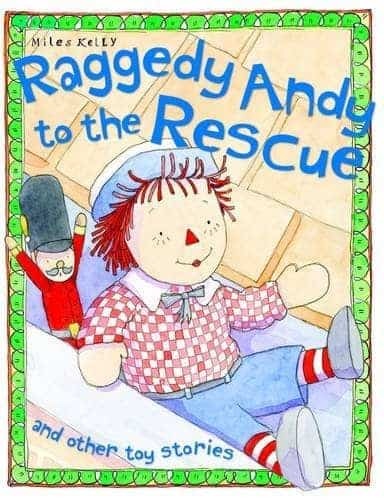 Disclosure: We received a copy of Raggedy Andy to the Rescue and other toy stories FOC for the purpose of review. This sounds like a great book. I love the illustrations too.